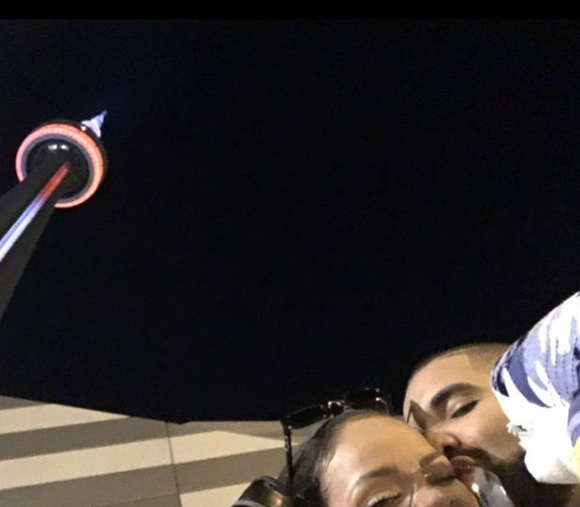 -The internet collectively freaked today when drakeandrihanna.com debuted with a giant countdown clock. What could it all mean? MTV came up with 36 possibilities before our dreams were crushed with the news that it’s probably fake. -I know it’s totally ridiculous, but dammit if I’m not buying everything Willow and Jaden Smith is trying to sell us in this Interview piece (conducted by Pharrell Williams, cause why not?). -Oh FFS. Chris Brown posted an anti-cop rant as police arrived at his house to investigate reports he allegedly threatened a woman with a gun. Police found guns and drugs after he threw a duffel bag out of a window. And yet, I still saw tweets caping for him during this. Sigh. -Is Joshua Jackson still pining for Diane Kruger? And is she jerking him around?! PACEY DESERVES BETTER!! -The best thing about the end of summer is that it coincides with all the big network shows’ DVD releases, which means we get a whole lotta new gag reels. Out today is Grey’s Anatomy and Arrow. -Say what you will about Ryan Reynolds (and I have), but it’s pretty great that he paid to have the Deadpool writers on the set of the movie when Fox wouldn’t. –Aaron Paul and Jamie Dornon are in a movie that’s opening this weekend and no one knows about it? HOW IS THIS POSSIBLE?! -Send out some positive vibes into the universe today for Shannen Doherty, ok? -More shady stuff is going down surrounding Leonardo DiCaprio’s charitable foundation. –Scott Eastwood says he didn’t notice any friction on the Fast 8 set. No one asked you, Scott! -Here are new promos for Shameless and Younger, two shows I like when I catch them but can never, ever seem to remember that they exist. -Shocking report: WB wants to make a Harry Potter and the Cursed Child movie trilogy. –James Corden pretended to work out at Kanye West’s gym with Teyana Taylor. It went about as well as could be expected. -Dancing with the Stars really is really bottom barrelling with this year’s cast, huh? –Thomas Haden Church gets punchy in the Cardboard Boxer trailer.